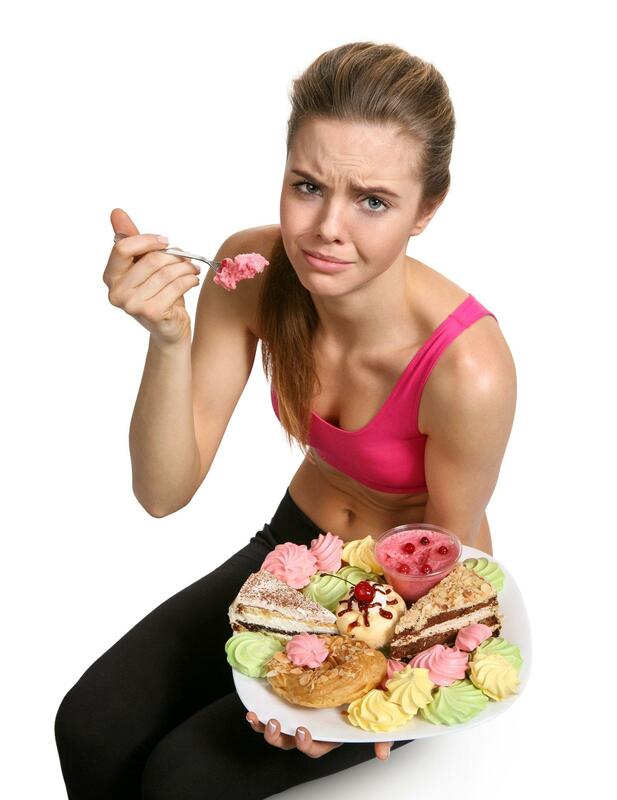 Lean Sweet Queen Program 21 Day Weight Loss For Women Who Love Sweets. You Could Lose Up To 9 LBS in 21 Days (& 3 lbs per week) With Three Little Known "Secret" Strategies In This Short & Entertaining Video. What's More? You Get To Keep Your Ice Cream, Sweets, And Chocolate While You Do It. MAKE SURE YOUR SOUND IS TURNED ON AND WATCH THIS SHORT VIDEO FOR THE SURPRISE AT THE END! 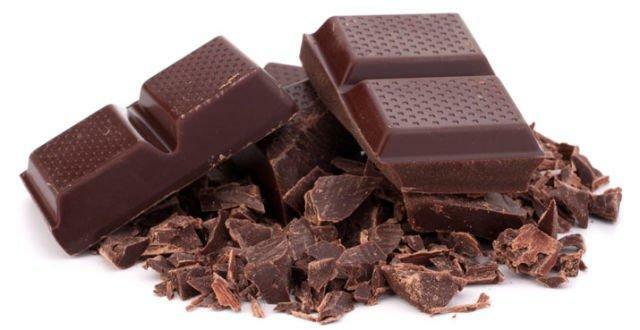 Watch This Video Till The End And You Will Learn EXACTLY How I Help (And Continue To Help) Ladies Lose Up To 9 Pounds In 21 Days (3 Lbs Per Week)While Keeping Sweets In Their Diet Daily. 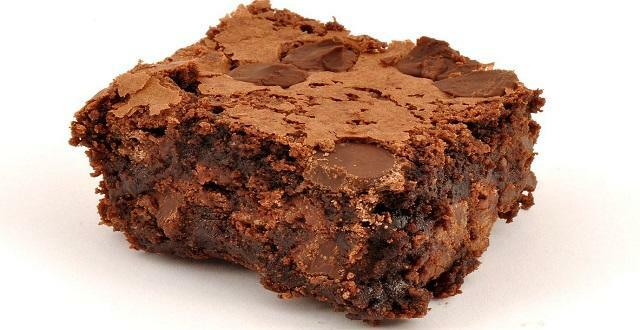 I'll Also Tell You About The "Little Known" Healthy, But Fat Storing Food That Can Completely Sabotage Your Weight Loss. In Addition If You Stay Until The End, I'll Also Give You A Free Turbo Quick Start Guide Which Includes All This Life Changing Information You Are Learning In This Video. Below Are Success Stories & More Information From Our Lean Sweet Queen 21 Day Virtual Coaching Program. You Can Purchase The Virtual Coaching Program At Our Lowest Price So Far If You Feel You Need Even More Daily Step By Step Guidance After Watching The Video. 10 Pounds in 21 Days! 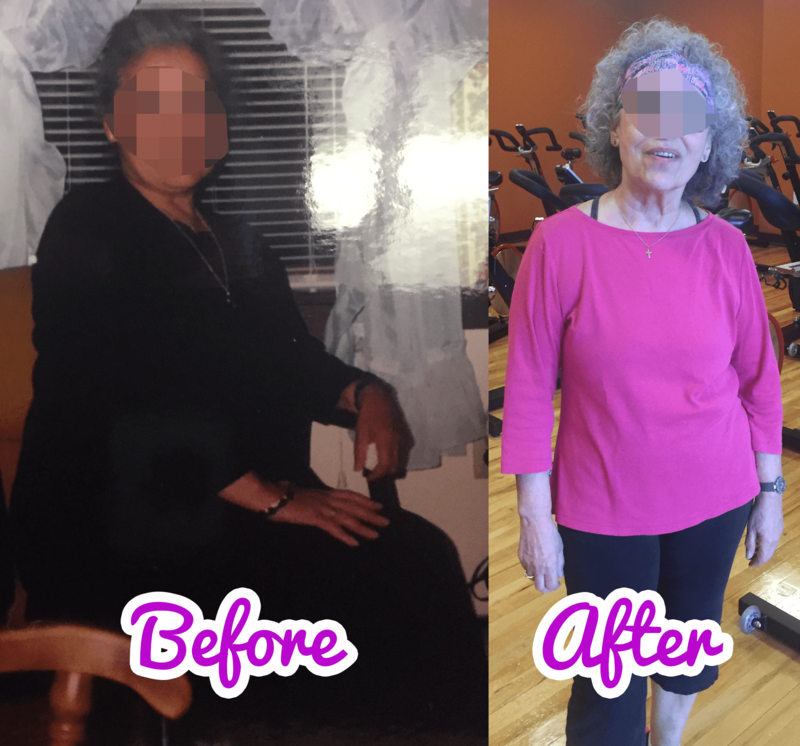 "Despite not having time to commit to a workout every day, I was able to lose weight just by changing the way I eat. I thought that was just crazy to me. I thought you had to kill yourself at the gym every day to lose any kind of weight, but that's just simply not true." "You can change the way you eat and lose weight without getting a crazy workout in. 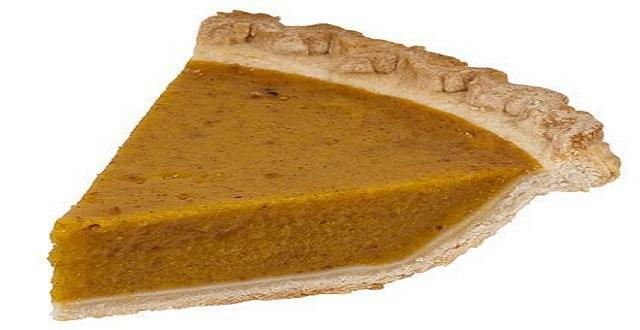 I found that adjusting my food and sweets with Matt was easy and simple." 8 Pounds in 21 Days! 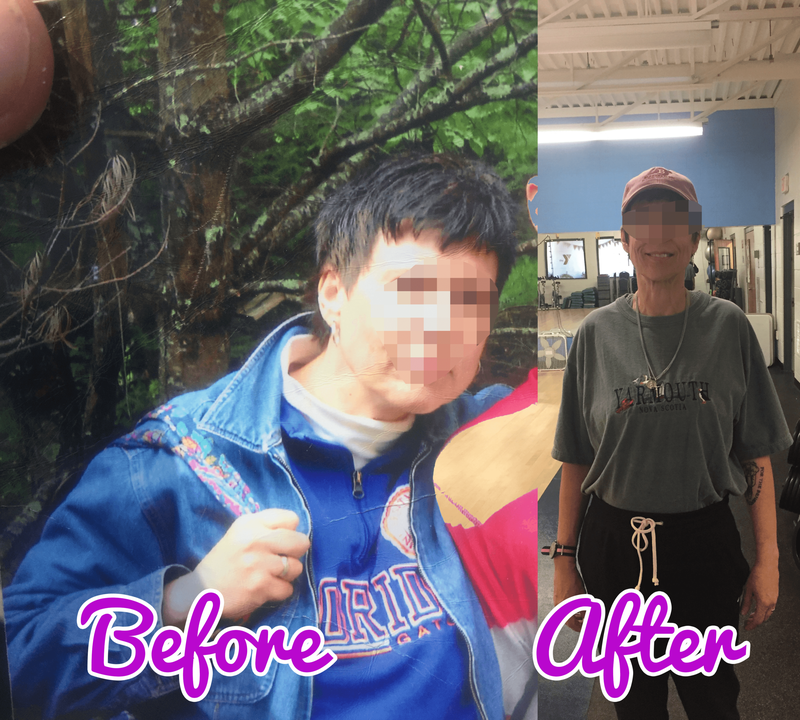 I focused more on my diet than on exercise and at times strayed from my meal plan, yet still came out with an 8 pound weight loss from the beginning of the program. I feel better and am more confident in the way I look thanks to what I learned and followed in the program. Thanks Matt! Matt really changed things for me and turned my life around. I owe him a world of thanks for all the time and effort he has put in with me. Matt is a great investment and a great trainer. I believe he can help you too, to turn your life around and have a better relationship with food and your body"
THE 3 WEEK "LEAN SWEET QUEEN" TRANSFORMATION System is a revolutionary system that not only guarantees to help you lose weight, It also helps you to lose MORE weight FASTER than anything else you’ve ever tried (while still eating sweets) . And like a gift that keeps on giving, you can use the program over and over again for as long as you need it! Results May Not Be Typical For All. 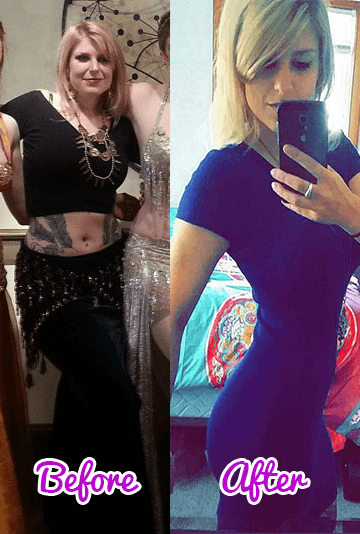 The 3 Week "Lean Sweet Queen" System? 21 Days from this moment! Available IMMEDIATELY, With Instant Access to download instantly to your computer as well as access our app & membership site. 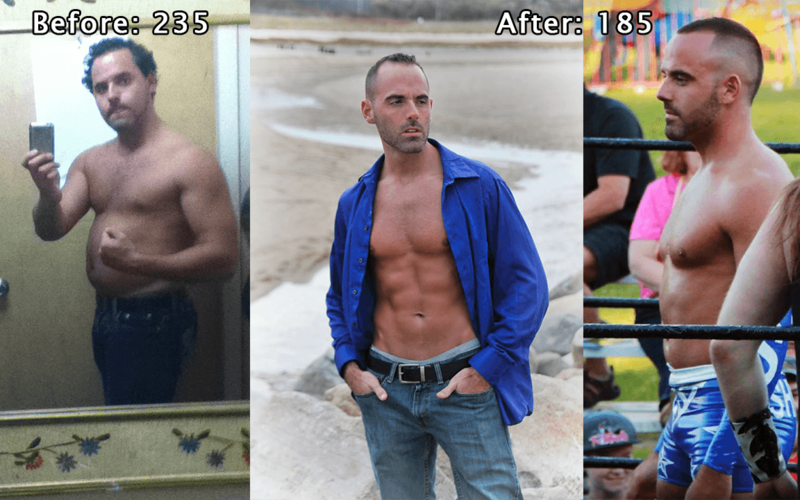 And because I don’t want price to stop you from losing up to 9 pounds of body fat in the next 21 days, I’ve made the lean sweet queen program affordable to everyone with the very low price of just $47.00. Keep in mind that $47 is about 1/10th of the price of my one on one customized coaching and less then a 3rd of the price of just 1 and 1/2 sessions with my in person clients!…and you get SO much more for such a small cost. You can use these strategies for the rest of your life! The Lean Sweet Queen 3 Week Transformation program comes with my personal, 100% Lose The Weight Or It’s FREE guarantee! 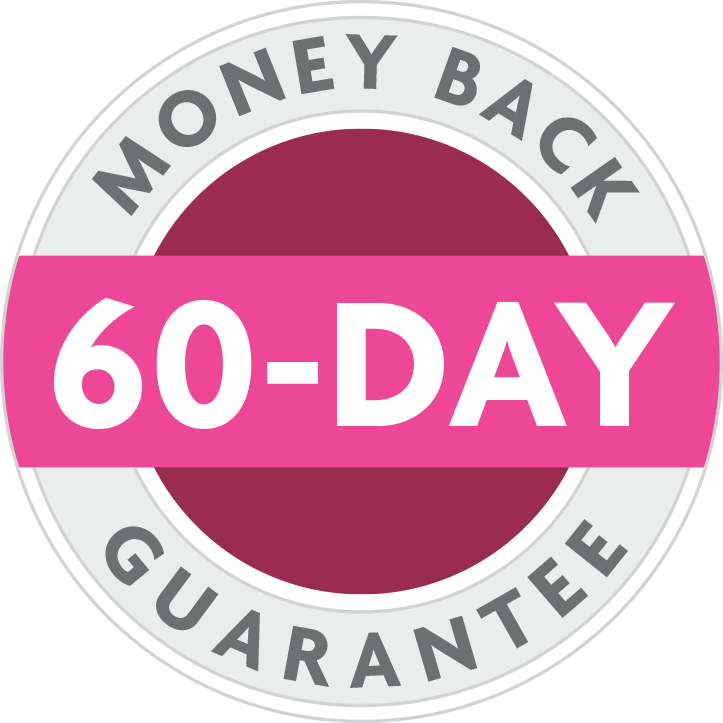 If You have not lost weight or Are Not Satisfied for any reason within 60 days of purchase, Then You Get a 100% Complete Refund No Questions Asked! It's just this simple: If at anytime in the next 60 days you have not dropped some significant belly fat, or…if you’re just not completely satisfied with The Lean Sweet Queen Transformation Program for any reason whatsoever, just let me know and I will personally issue you a quick and genuine refund — no questions asked. Success Stories From Previous Ladies I've Worked With. And Be Welcomed With Open Arms! If you dedicate yourself within the next 21 days and follow The Lean Sweet Queen plan and virtual daily coaching as outlined, you will be walking around with more confidence, less stress, and with an average of 8 to 9 pounds of body fat gone from your waist, thighs, hips, belly and booty. Your clothes will be looser, you’ll look and feel healthier. You'll feel more attractive…and you’ll have more energy than you’ve ever had in a very long time. as the program is yours to keep and use as many times as you would like. entire 3 Week LSQ program, Virtual Video Coaching system, and community access. You Can Begin Your Transformation In Less than three minutes from this moment. Go ahead and start the program, commit to your 3 week transformation and really put it to the ultimate test. I promise that you’ll be truly inspired at the results you can actually see in just a matter of a few days. 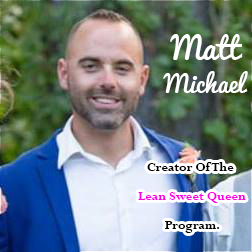 And again, if The Lean Sweet Queen Program isn’t everything I promised, simply let me know and I’ll refund 100% of your investment into the system within 60 days. — no matter what your reason. Our Amazing, Unheard Of No Risk Guarantee! Lose Weight Or Your Money Back! Hurry And Get Our Lowest Rate So Far! 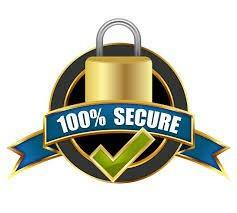 We Understand Money Can Be Tough And Have Lowered The Price So That This Program Can Be Affordable To Almost Everyone. So Don't Wait, Start Your New & Wonderful Journey Now While This Life-Changing Opportunity Is Available. I truly look forward to hearing about your weight loss success using the LSQ 3 week transformation program! Copyright © 2017-2018 Fit Nutrit Commit. All Rights Reserved. 50 Pounds Lost in 3.5 months. Coach Matt Michael-BS. CPT. Pn1. FNC. WLS. Ave, Boise, ID 83709, USA and used by permission. The website's content and the product for sale is based upon the author's opinion, research, and experience. It is provided solely on an "AS IS" and "AS AVAILABLE" basis. You should do your own research and confirm the information with other sources when searching for information regarding health issues and always review the information carefully with your professional health care provider before using any of the protocols presented on this website and/or in the product sold here. Note: Matt Michael is my chosen pen name. Copyright © 2018 Fit-Nutrit-Commit By Matt Michael. All Rights Reserved. 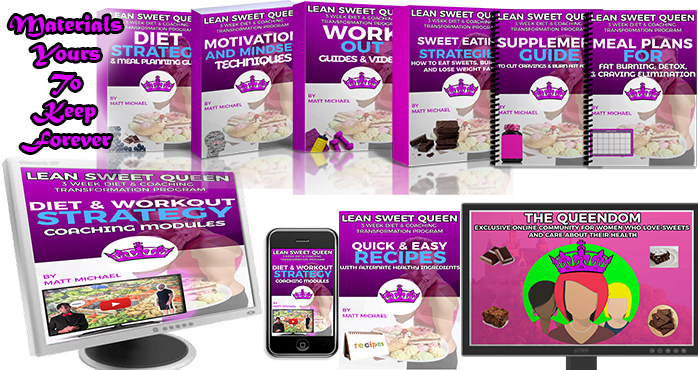 Grab This Intro Guide, FREE 1 Week Meal Plan, 4 Recipes, & 2 Workouts Straight Out Of The Lean Sweet Queen Program To Help You Lose 2-3 Lbs Per Week While Eating Sweets. Grab This FREE 1 Week Meal Plan & Workouts Straight Out of The 21 Day Lean Sweet Queen Program. Yes, Send My FREE Plan To My Email While I Finish Watching The Video!